Remember to include a measurement of the circumference of your waist when ordering. 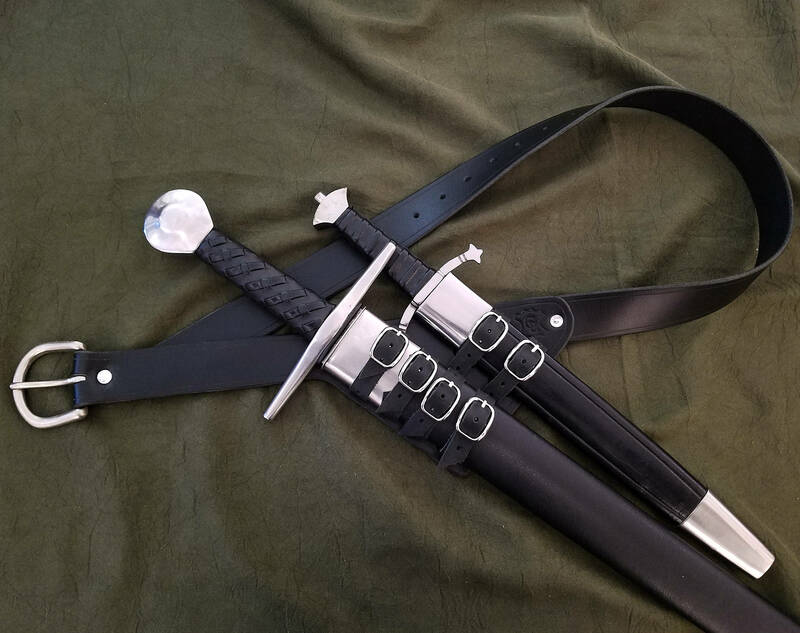 Like the other swordbelts we offer, this belt features a sword frog built in, with the option to include a dagger set behind the sword. Each belt is made out of 8-10 ounce latigo cowhide, unless the natural color is chosen, in which case, the belt will be made of 8-10 ounce vegtan cowhide. 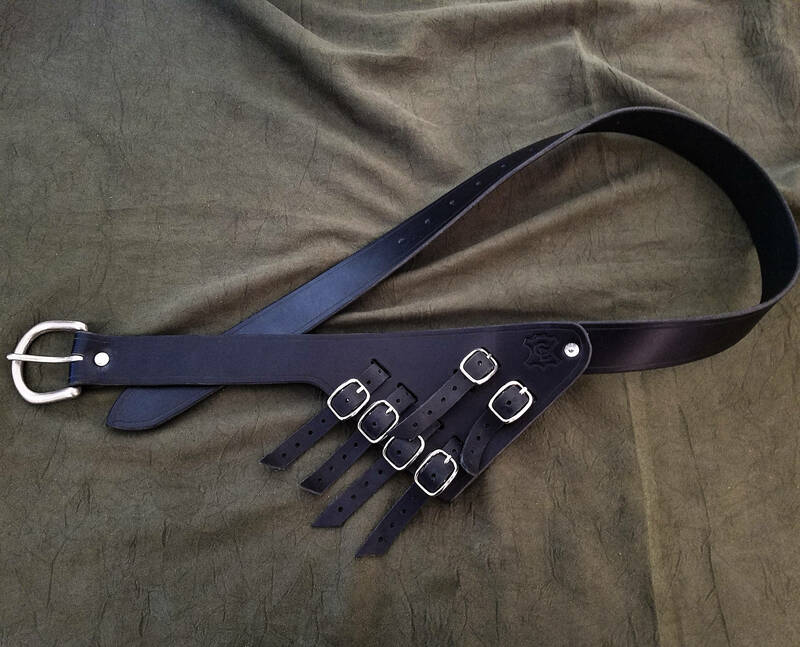 The sword attaches to your belt via 4 buckled straps, and if you pick the option, you can attach a dagger via 2 buckled straps. 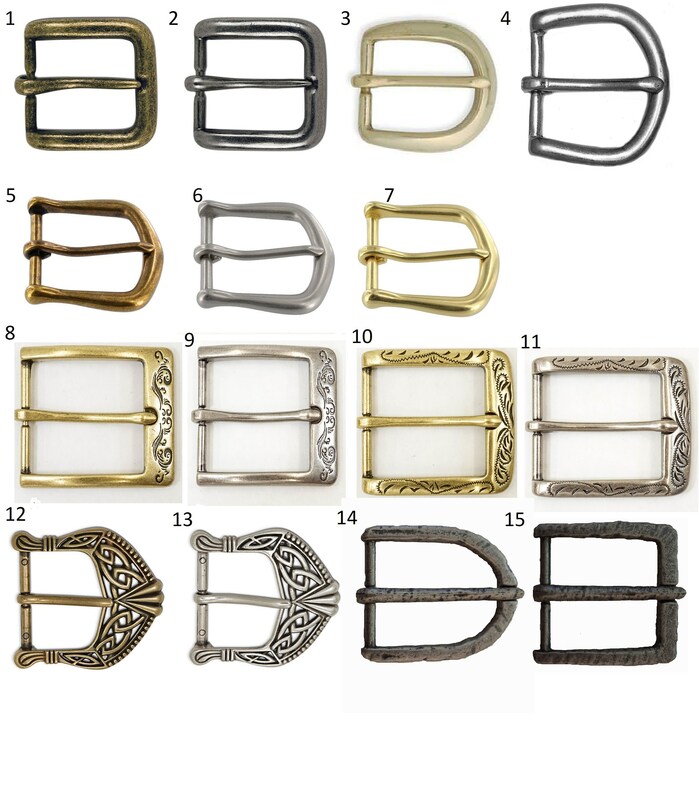 The belt has several options for buckles, check the last image for options and their numbers. Each belt features an extra 10" on the end to be heroically tied in a knot. As always, customization is available, message me for details.